I took this near Roanoke VA on a cruise through the Blue Ridge Mtns. This bird was getting his fill of sunflower seeds. 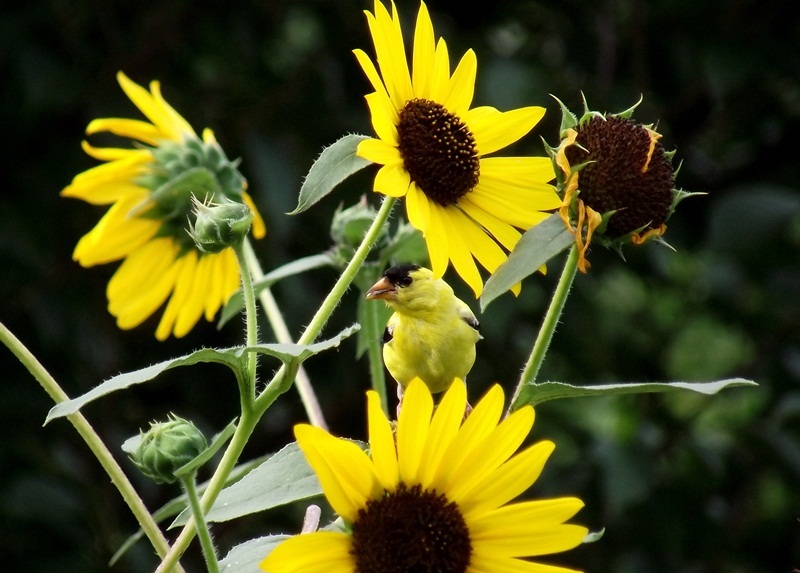 This entry was posted in Bird, Flowers, Garden, Mountains and tagged Bird, Finch, Flower, Garden, Roanoke, Sunflower, VA, Virginia, Yellow Finch.